One of our science units was on weather. 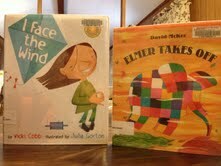 These are the library books we checked out as extras. 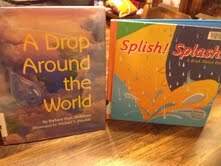 Here are the main books we used. 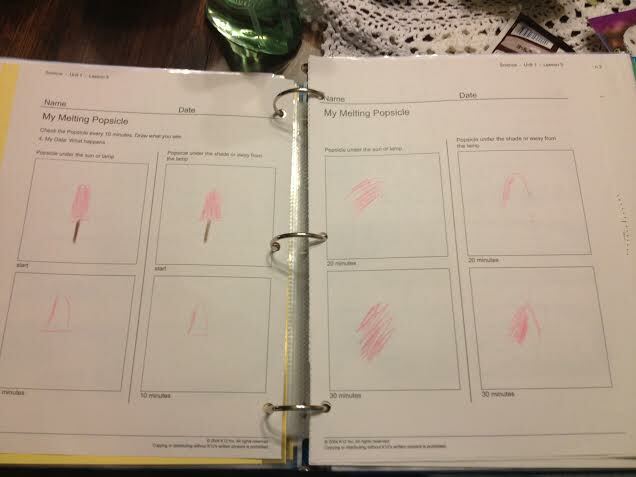 Here are the notebook pages we did. 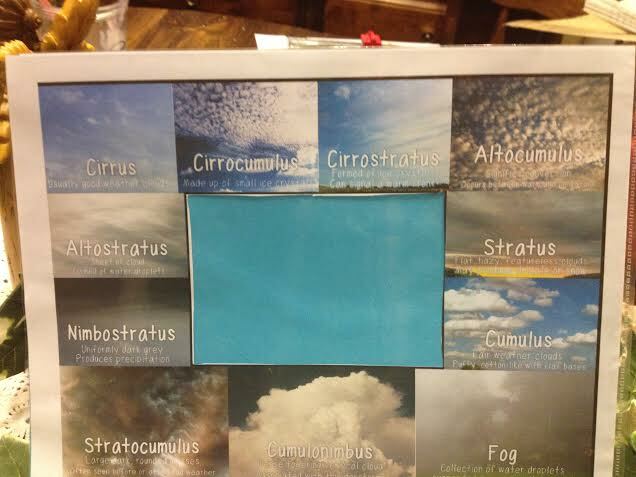 The first picture is weather words which is from a worksheet from K12 student book. 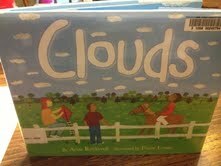 The next picture is about wind and we used one of the library books for it. 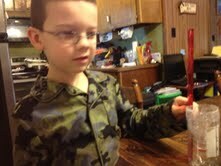 This is the rain catcher we made using a soda bottle, a ruler, tape, scissors, and marbles. It worked too but is kind of hard to empty out. Take all wrapping off a 16- oz. soda or water bottle. Cut the top off at the spot the curve begins (right above the spot). Turn the top upside down in the bottom and tape together. Place a few marbles or heavy rocks on the bottom to keep it from falling over. Take a ruler begin your measurements just above the bottom of the bottle (where the side begins). pour water up to the beginning line. This will give you a base line to begin your rain measurements. 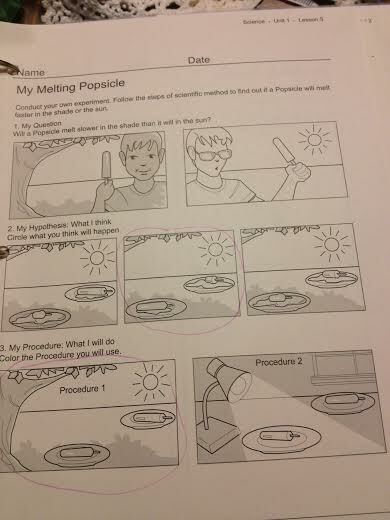 We did a melting Popsicle experiment when talking about the sun and shadow and temperature. These sheets were provided for us. 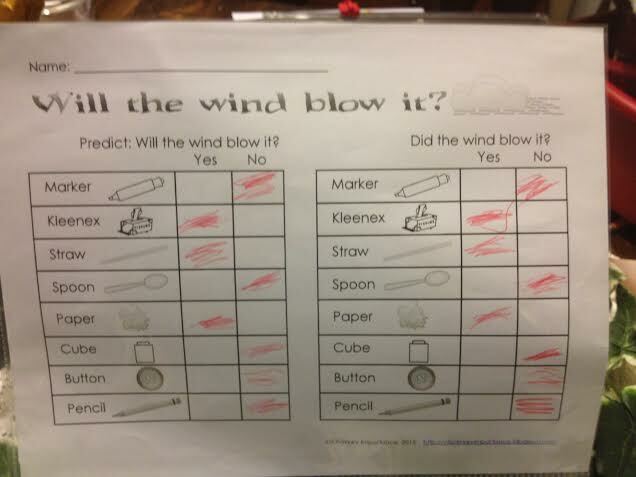 We did a wind experiment by predicting which objects we thought would blow away and what would not. Then we used those items in front of a fan to test our hypothesis and marked the answers. The next picture is a cloud viewer. It is not glued to the paper but the background paper is so the next page does not confuse him when he looks at it. You take the paper outside and hold it up to the sky. You look through the hole a cloud and use the paper to identify it.